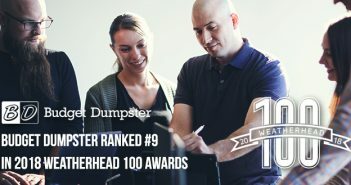 Budget Dumpster has expanded its waste removal service to the Bay Area in California. We will be providing roll off dumpster rentals to San Francisco, San Jose, Fresno, Sacramento, Oakland and the surrounding areas. This area has already established a desire to properly manage waste and Budget Dumpster will get its piece of the action. To gain more specific information please read the Budget Dumpster’s expansion to the Bay Area Press Release.